As much as we admire and respect Hip-Hop, far to much of it is still trading on an ideology that can feel clichéd and to be brutally honest, at times, unnecessarily crass. We maybe middle class white boys, however we do have a basic appreciation of why money etc became such a focal point for the Hip-Hop generation. We read the book ‘Can’t Stop Won’t Stop‘ and more recently watched the documentary ‘Hip Hop World News‘, narrated by British rapper Rodney P. Both of which start their stories in 1970’s Bronx, New York. An area that rose up, via the medium of Hip-Hop, in an attempt to free itself from poverty and crippling white oppression. 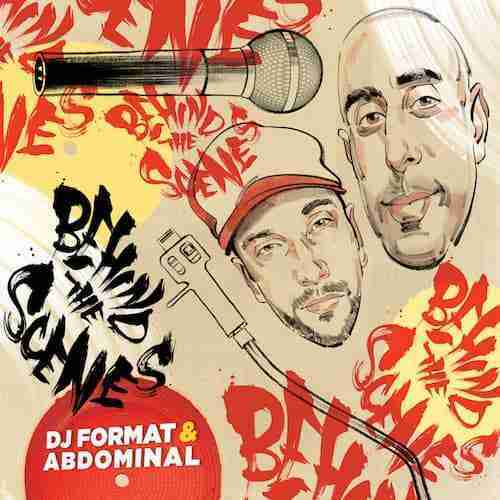 Thankfully DJ Format & Abdominal – Behind the Scenes sets the record straight. Demonstrating that Hip-Hops powerful discursive and informative core can be equally as compelling when discussing everyday life. Cracking video also.